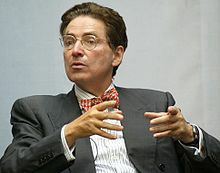 Alfred de Zayas was the first UN rapporteur (independent expert) to visit and report from Venezuela in 21 years. His piece: “As a former UN special rapporteur, the coup in Venezuela reminds me of the rush to war in Iraq” was just published by the British Independent. “In 2011 another oil-rich state was devastated, Libya, with the aggression similarly preceded by systematic governmental and media disinformation. Today’s crisis in Venezuela has much in common with the prior aggressions against the two other oil-producing countries. “One would think that the human rights community is committed to advancing the civil, cultural, economic, political and social rights of all without discrimination. Their silence in the face of the enormous suffering inflicted on the Venezuelan people by the United States is nothing less than appalling. The economic war against Venezuela, carried out not only by the United States, but also by the Grupo de Lima in clear violation of Chapter 4, Article 19 of the OAS Charter, the financial blockade and the sanctions have demonstrably caused hundreds of deaths directly related to the scarcity of food and medicines resulting from the blockade. “The report of my UN mission to Venezuela was presented to the Human Rights Council on 10 September 2018. Among the many constructive recommendations formulated in my report was the revival of the dialogue between the opposition and the government. Already between 2016-2018 the former Spanish prime minister Jose Luis Rodriguez Zapatero hosted a multilateral mediation in which the Vatican and six Latin American states participated.